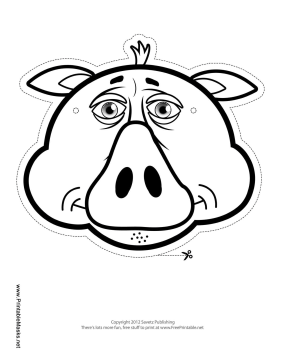 This pig outline mask is ready for you to color in and wear. The pig has a triangular nose, little ears, and a small bunch of hair on top of its head. This mask is free to download and print.